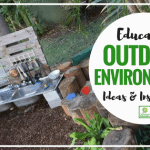 With lots of new faces attending my family day care service now I thought it was time to introduce a few new recycled resources to the outdoor playspace. We are lucky to have had His Patient Self home on holidays the last few weeks so of course I have been busy coming up with ideas and begging him to make them happen….so many ideas and so little time lately to get them done! As always I didn’t want to spend much money so the first addition is a few A5 size wooden clipboards that I picked up from Officeworks for a measley $6 each. 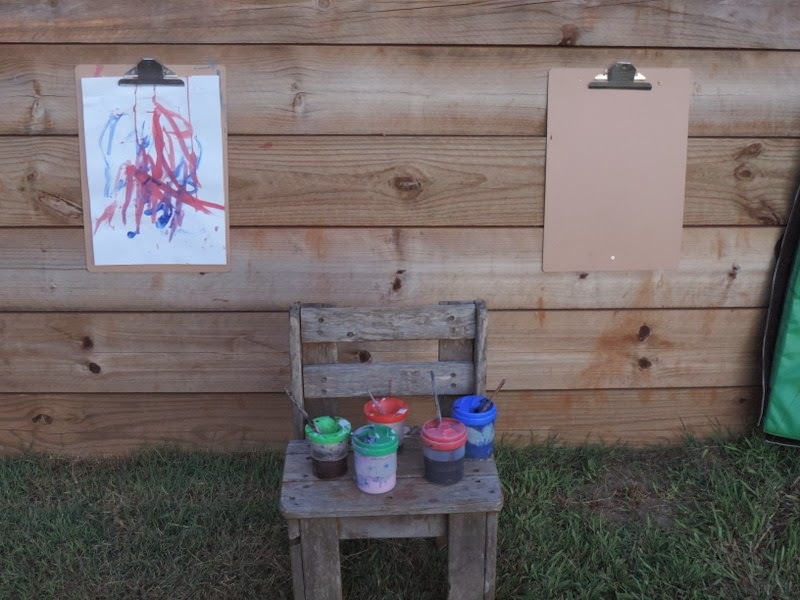 Screwed to the retaining wall at the perfect height for toddlers and preschoolers and I now have lots of easels ready to go. They hold the A5 size photocopy paper beautifully. I also finally found some large clamp clips (or ‘bulldog clips’ but no one seemed to know what they were when I said that!) 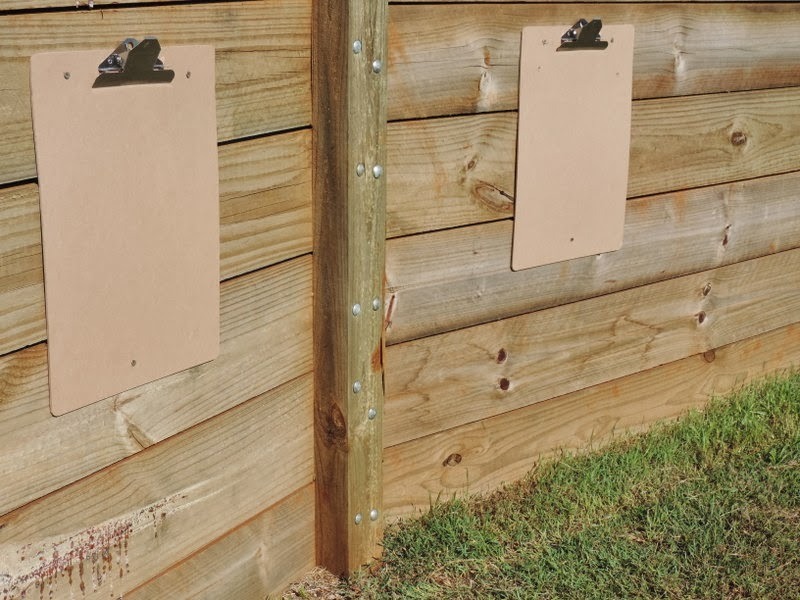 that will clamp a long sheet of paper easily and securely to the fence so 4 little people can get creative at once, No more waiting….and dare I say it arguing. I’m sure I will find other uses for them too as we travel through our weeks. 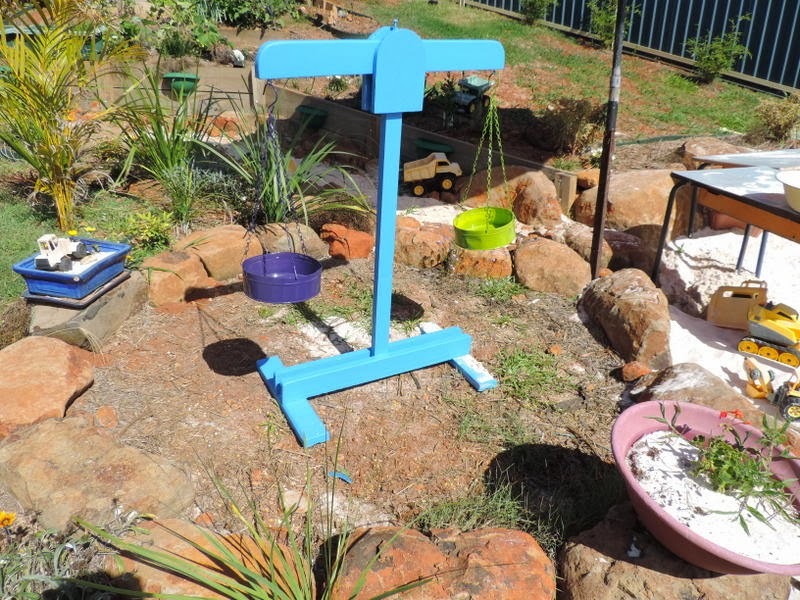 Our other addition is a standing set of balance scales made from bits and pieces found in Daddy’s shed (that place is a treasure trove but it can be tricky to navigate your way back out!). 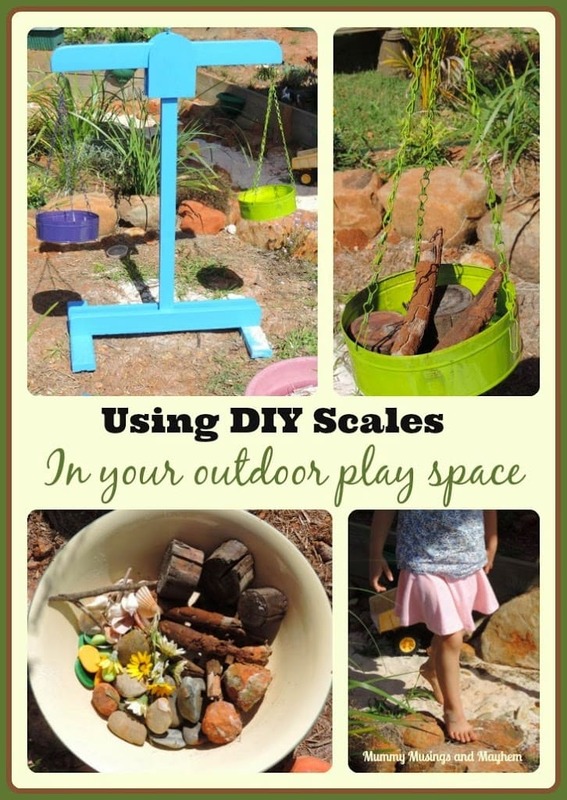 I’ve seen lots of versions of scales around Pinterest lately and think they are such a lovely addition to outdoors. Of course we had to go extra large! 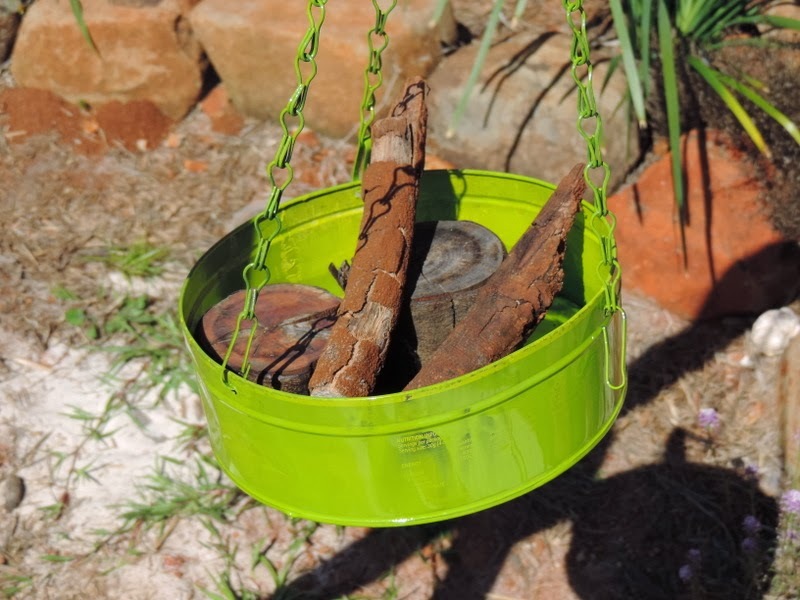 The materials we used were..
Old tins of paint leftover from other projects hence the odd colours but they cost nothing and will protect the wood from weathering. What I’m trying to say is that it is a pretty simple project though that can be made from bits and pieces that you have on hand. 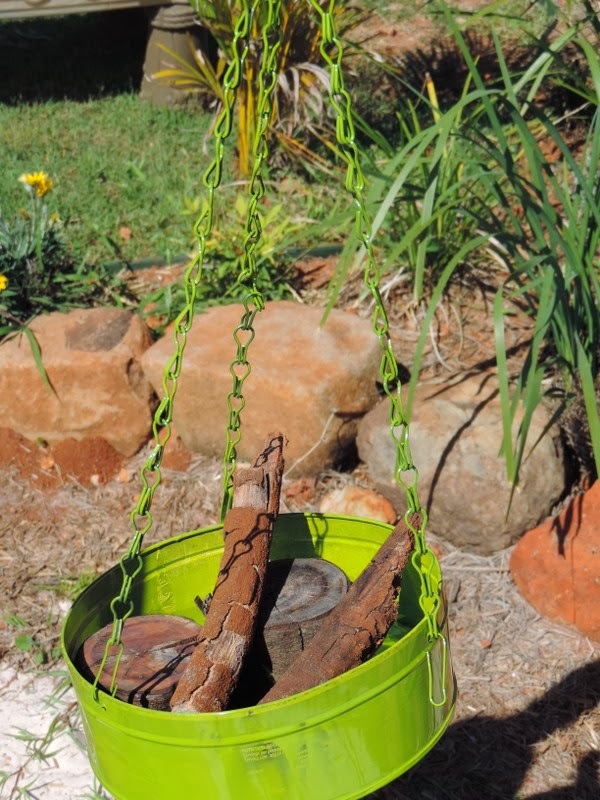 Old hanging pots that have a chain would work well too. 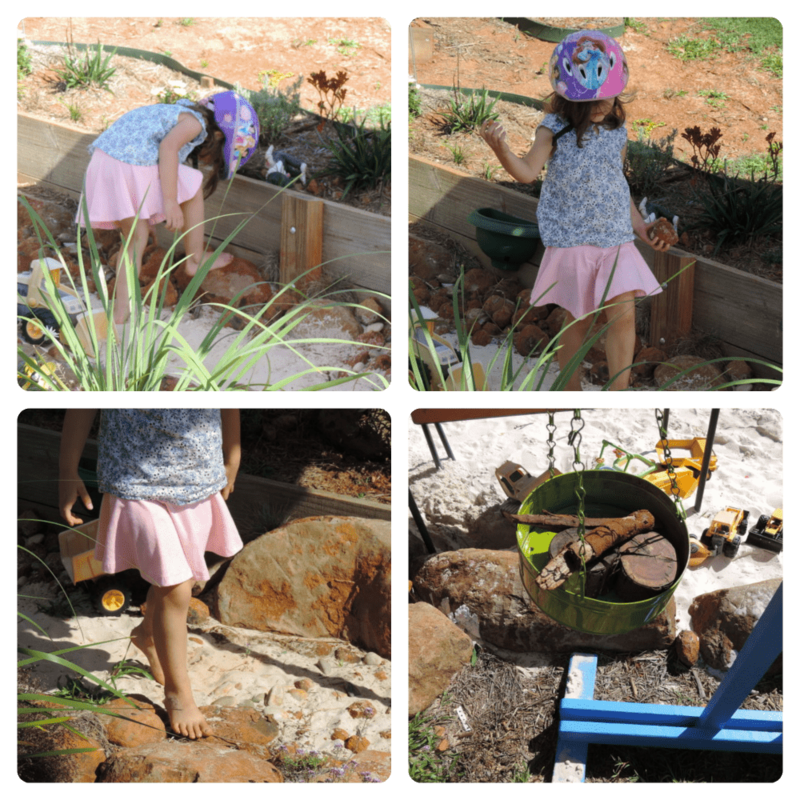 The twins and I collected a few loose bits and pieces from our outdoor quarry pots talking about heavy and light, soft and hard, big and small and medium (Tara’s favorite size label at the moment!) 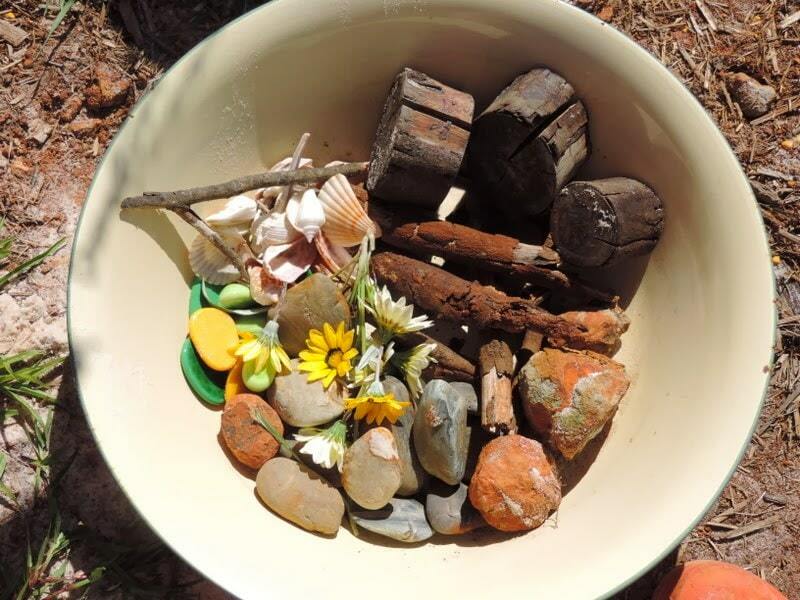 There were flowers, tree blocks, shells, twigs and branches, pebbles, larger river rocks and gems.Then the fun began! 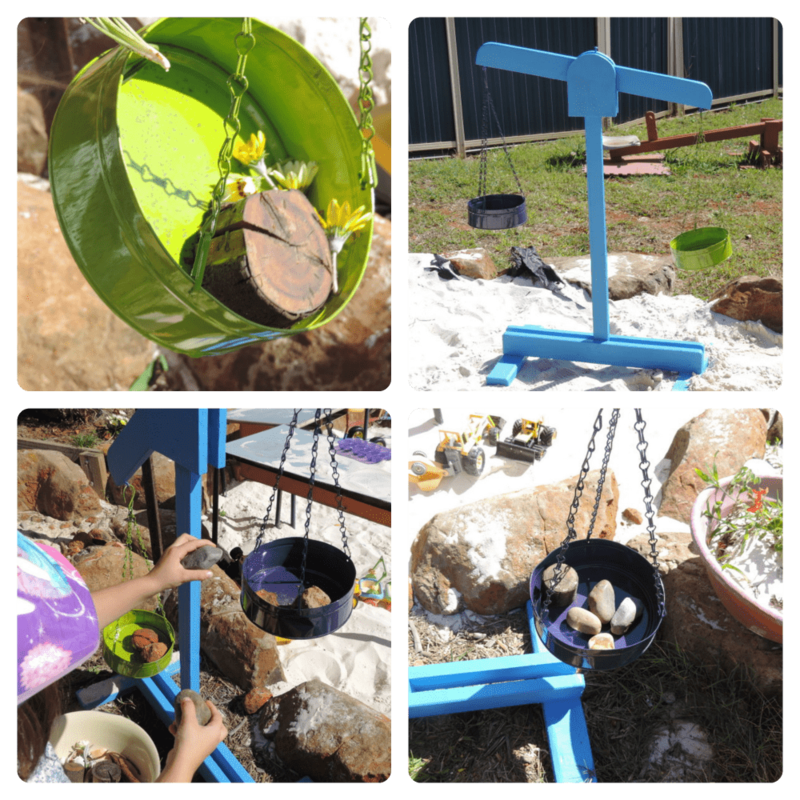 I decided to place the scales in our Imagination Circle for this week’s play which is joined to the sandpit so it will be easy for the children to also collect sand and water to also weigh.It’s light enough to move around the yard to different areas and it has a nice wide stable base on it so there is little chance of it tipping over. When it was stable the girls began to add items from their bowl and it was lots of fun listening to them problem solve and communicate how to make the scales balance, what should be taken out or put back in, what side was heavier and there were deafening squeals as one side inevitably hit the bottom as it became to heavy. 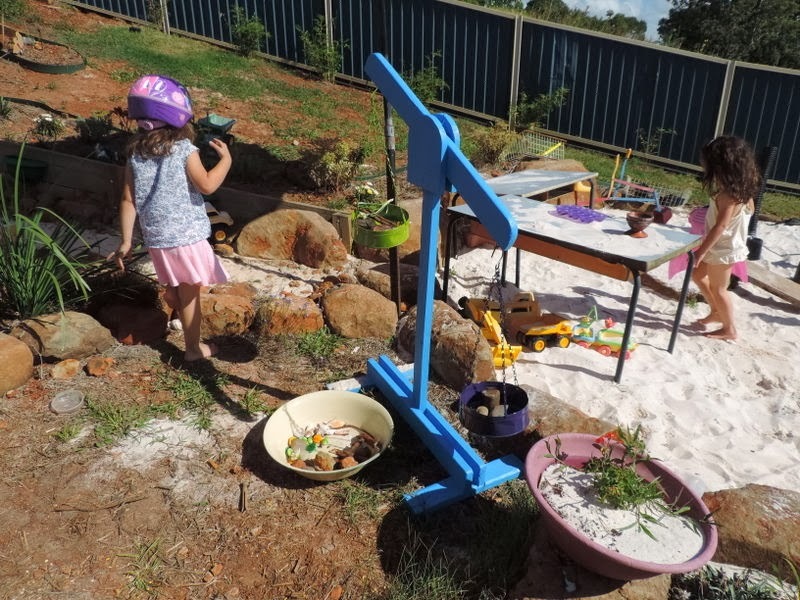 They moved onto using sand and water and then began exploring the garden and quarry for more things to use that would be ‘just the right size!” Which was medium according to Tara and heavy according to Ruby. 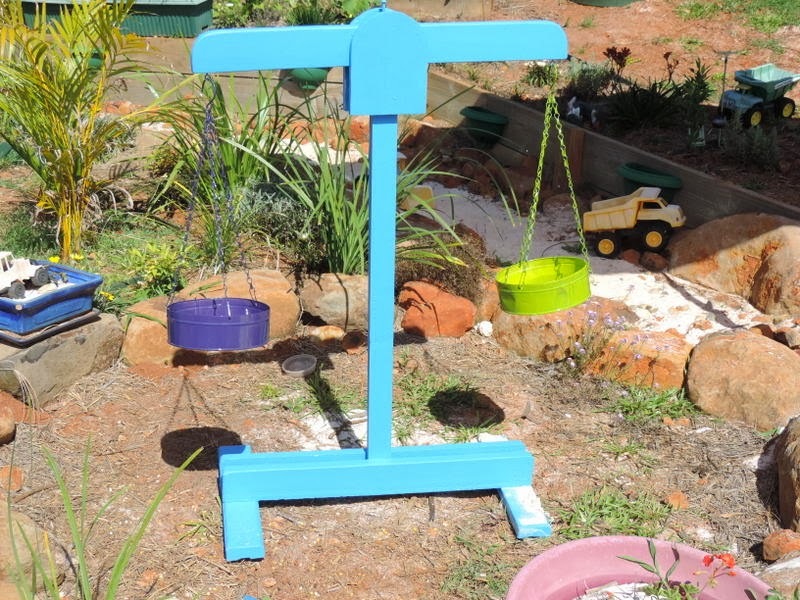 There is so much imaginative play to explore and learning possibilities to embrace for toddlers, preschoolers and even school age children with this simple set of DIY wooden scales. I can’t wait to show the day care kids this week…I’m pretty sure they will show me a way to use them that I hadn’t even thought of. 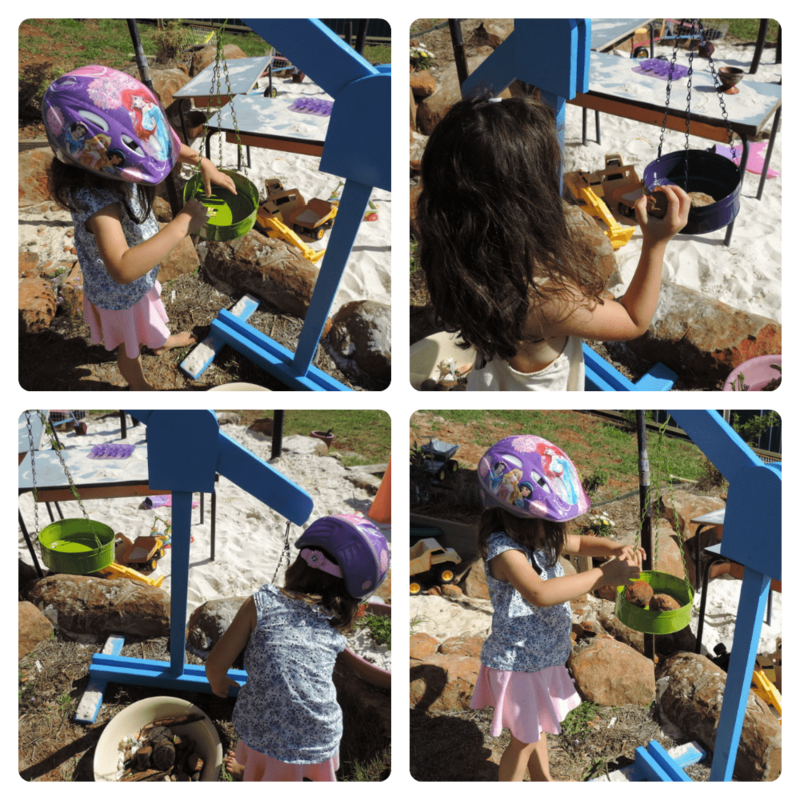 That’s the beauty of children exploring outdoor play spaces! 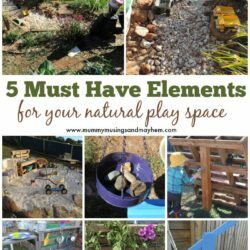 What would you like to add to your backyard or play space if you could? 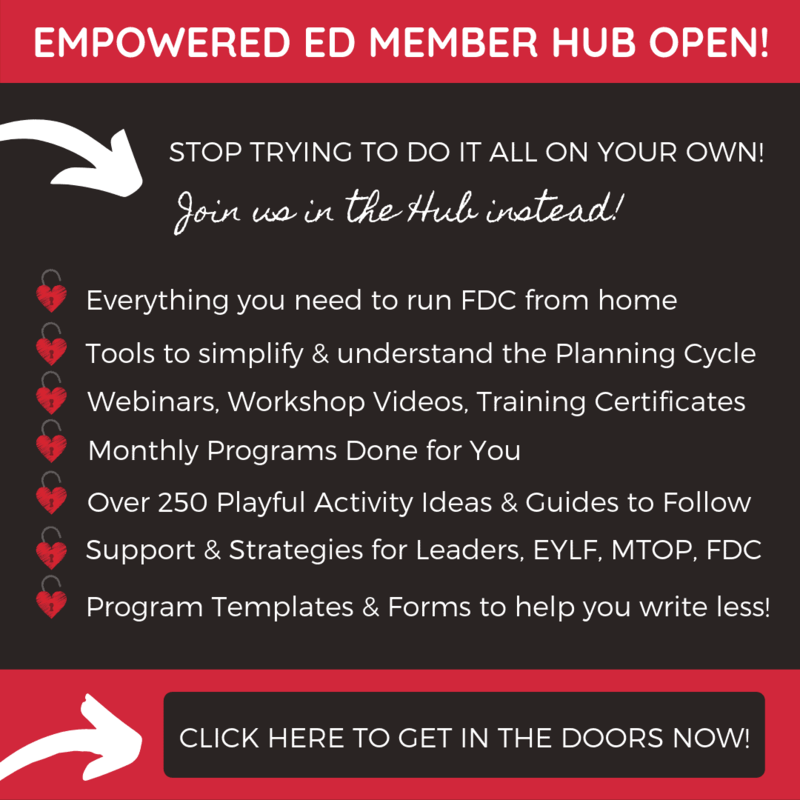 « How to Increase Communication & Belonging for Parents…. Thanks so much Valerie…you will have to share a photo if you do! Oh, so glad someone else would know what I was talking about! Everyone has been looking at me very strangely here Kate lol! You have such great ideas! 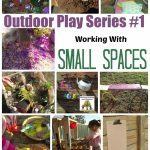 The scales are perfect for open-ended, problem-solving play. I’ll have to keep it in mind. 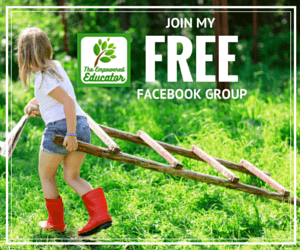 I’m determined to add some sort of outdoor play structure for the kids this summer, besides a swingset! Thanks Linnae…I have so many more idea but lack of time at moment lol. I’m sure whatever you come up with will be great…I’d love a tyre pile for climbing, just have to convince the other half! 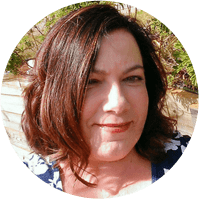 Hi, Jode! 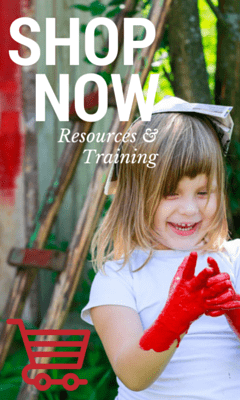 I’m so thrilled to have discovered your site. 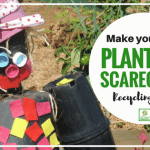 I love this activity and I can’t wait to set one up in our school garden and also in my own garden at home for my little one soon.